Canon patent application 2019-0113711 (USA) describes the optical formula for an RF 50mm f/1.8 and RF 28mm f/1.8 lens, both for the Canon EOS R full frame mirrorless system. It’s likely Canon will launch these non-L lenses sooner than later. Both are popular focal lengths on full frame, and it’s also likely Canon is set to offer some less expensive (aka budget) lenses for the EOS R system. 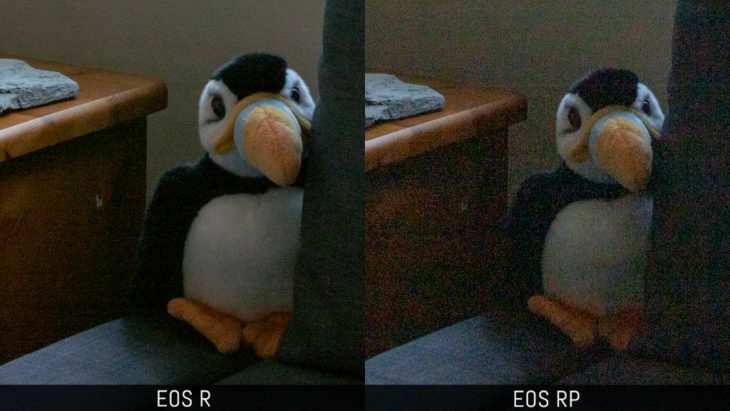 The folks over at Mirrorless Comparison posted a pretty exhaustive comparison between the Canon EOS R and the Canon EOS RP. As far as I know this is the first serious EOS R vs EOS RP comparison review. Most of you likely know that the image sensors of the EOS R and EOS RP are derived form the image sensors found in the EOS 5D Mark IV and EOS 6D Mark II, respectively. This reflects in the sensor performance, and is clearly visible in the image below where 4 stops of exposure recovery have been applied. The EOS RP holds up better to the EOS R when it comes to high ISO performance. If you’re interested in 4K video have a look at the video below to learn more about how both cameras perform. Mirrorless Comparison’s review examines every feature in both cameras and compares them. If you are on the fence and don’t know which camera is best for you, be sure to have a look at the review. The firmware update (ver. 1.2.0) for the Canon EOS R is available to download at Canon Canada. 1. Supports Servo AF when shooting still images. 2. Now available when shooting movies regardless of “Movie Servo AF” setting. Supports Servo AF when shooting still images. 3. Now available when shooting movies regardless of “Movie Servo AF” setting. 4. Under certain conditions the electronic level displayed in the electronic viewfinder did not display properly. 5. Under certain conditions information displayed in the electronic viewfinder was not properly rotated. 6. Under certain conditions updating the firmware for the wireless file transmitter WFT-E7 was not possible. This firmware update is for cameras equipped with firmware up to Version 1.1.0. If the camera’s firmware is already Version 1.2.0, this update is unnecessary. When updating the firmware of your camera, please first review the instructions thoroughly before you download the firmware. The firmware update takes approximately 6 minutes. The user guide has been revised to reflect the functional improvements to the product. Please download the latest version of the user guide together with the new firmware. The latest version of the user guide can be downloaded from Canon’s Web site. We’re told that the upcoming, high resolution EOS R camera might feature a 75MP sensor. As we repeatedly wrote, we expect Canon to announce a high resolution EOS R model somewhen in Fall 2019. There have been suggestions Canon might feature IBIS (In Body Image Stabilisation) on their high resolution EOS R camera. We take this with a grain of salt, given we are talking about Canon here. We think it’s unlikely we will see a Canon full frame mirrorless camera with IBIS anytime soon. However, there are patent applications by Canon dealing with IBIS technology, and Canon execs are also slowly starting to admit Canon is working on IBIS. The high resolution Canon EOS R camera might well replace the EOS 5Ds/5Ds R cameras. In other words: Canon might opt to offer a mirrorless high resolution camera instead of an DSLR. So far the suggested sensor resolution is all we have (and we do not feel we can give it more than CW3) but there is more to come. Canon execs are giving a lot of interviews as for late. Here is one more. Michael Burnhill, European Technical Support Manager at Canon Europe, talked about the Canon EOS R system with EOS Magazine. The interview touches the usual topics already discussed in previous interviews. For instance IBIS (In Body Image Stabilisation). Many of your competitors have introduced in-body image stabilisation (IBIS). Does Canon intend to introduce this technology? MB: In-camera stabilisation – moving the sensor – is good for wide-angle and standard lenses, but as the focal length increases IBIS becomes less effective. There’s a very sharp drop-off. If you look at our competitors, all those who use IBIS still have an optical stabiliser in their longer lenses. There is a high demand for IBIS, but we want to make sure we get it right. It’s on our drawing board, but when, or if, we implement it is still to be decided. Basically, Canon is saying they will feature IBIS when it will be ready and satisfying their quality standard. Which is what we are used to see from Canon. Fear not, Canon will continue to develop DSLRs. Will Canon be introducing more DSLR cameras? MB: Yes. Canon still sees demand for all sorts of cameras – including DSLR and mirrorless – so we will continue to produce across multiple product lines. We’ve only just phased out the EOS-1 film camera because there were still people buying it in certain markets, and we will see the same with the DSLR cameras. There are certain technologies where we don’t think mirrorless is quite ready – the electronic viewfinder for instance – compared to the SLR system where there is zero lag through the viewfinder. And finally, the question we featured in the title of this article. Apparently an EOS R model with a price below the EOS RP might be in Canon’s agenda. Do you see a full-frame camera coming in at a price below the RP? What?? So, did I get this right? Canon will launch a full frame mirrorless camera with a price below the Canon EOS RP ($1,299). They for sure have the technology. What about the a pro model in the EOS R series? And a pro version before the 2020 Olympics in Tokyo? There is a lot to come from Canon, in 2019 and especially in 2020. We expect Canon to announce a high resolution EOS R model before end of 2019. Stay tuned with us. 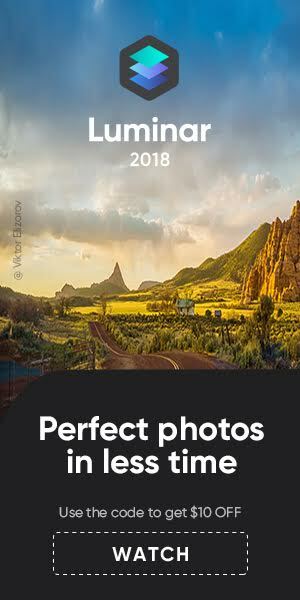 Canon Canada posted the date on their site. 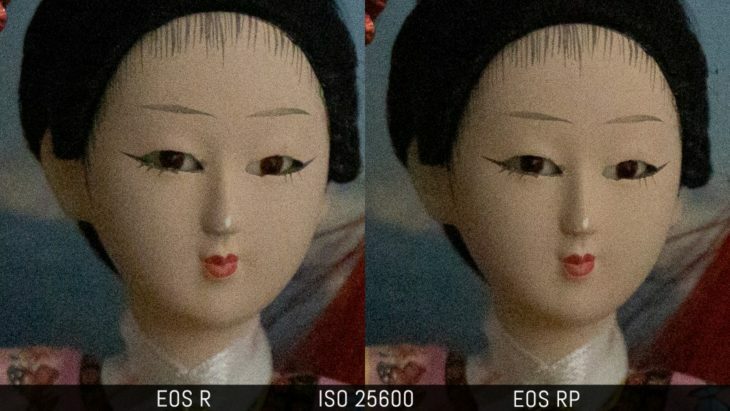 Canon already announced the release of a firmware update for the Canon EOS R.
Firmware version 1.2.0 incorporates the following enhancements and fixes. 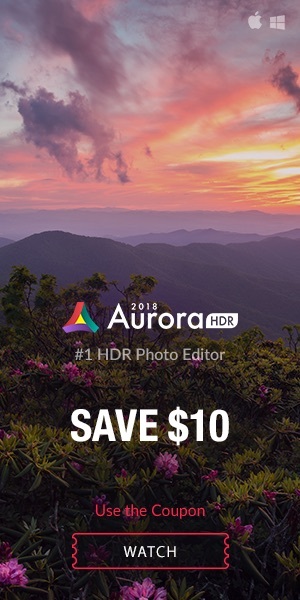 – Supports Servo AF when shooting still images. – Now available when shooting movies regardless of “Movie Servo AF” setting. ​1. Under certain conditions the electronic level displayed in the electronic viewfinder did not display properly. 2. Under certain conditions information displayed in the electronic viewfinder was not properly rotated. 3. Under certain conditions updating the firmware for the wireless file transmitter WFT-E7 was not possible.